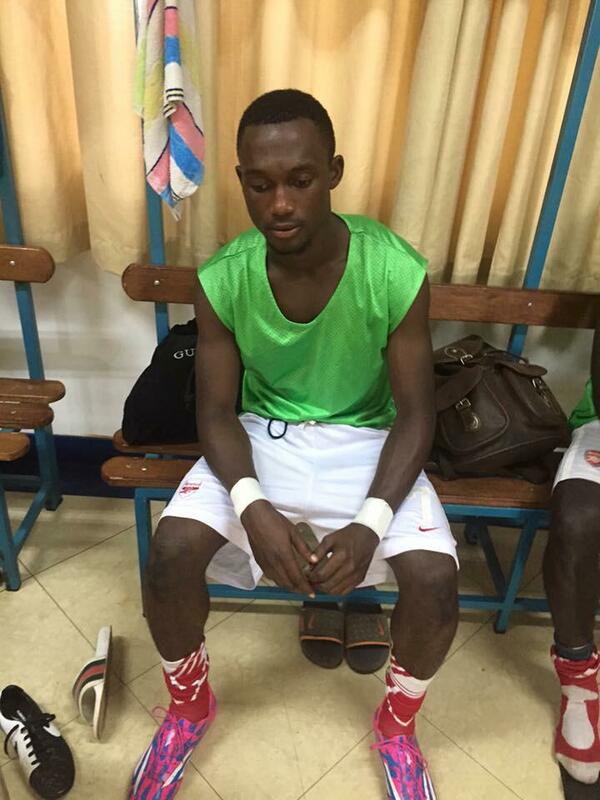 Berekum Chelsea is set to sign the deputy captain for city rivals Berekum Arsenals FC, Dominic Ofori Amo Junior for an undisclosed fee. Information available to fillascorner.com indicate that winger will sign a three year contract which will keep him at the club until 2021 league season and will agree on personal terms in the coming days. He spent Four seasons with the Gunners after he joined from Buffalo Stars FC, a second Division club in Berekum, he is well known by the people as very talented and skillful. The talented winger disclosed his happiness after the deal. "It is every players dream to play at the top level, so I see this as a dream come true to also play in the Premiership. I thank God for making this happening"
Junior, as he is locally known also expressed his gratitude to the Managements of Berekum Arsenal. "Let me also thank the managements of Arsenal, the technical team and the entire playing body for their support since I came from Buffalo as a young player, they have been very supportive and also the supporters for their support and prayers"
Former Chelsea Striker Samuel Sarfo who was crowned the Top scorer in the Ghana Premier league two seasons ago was also signed from Berekum Arsenals.